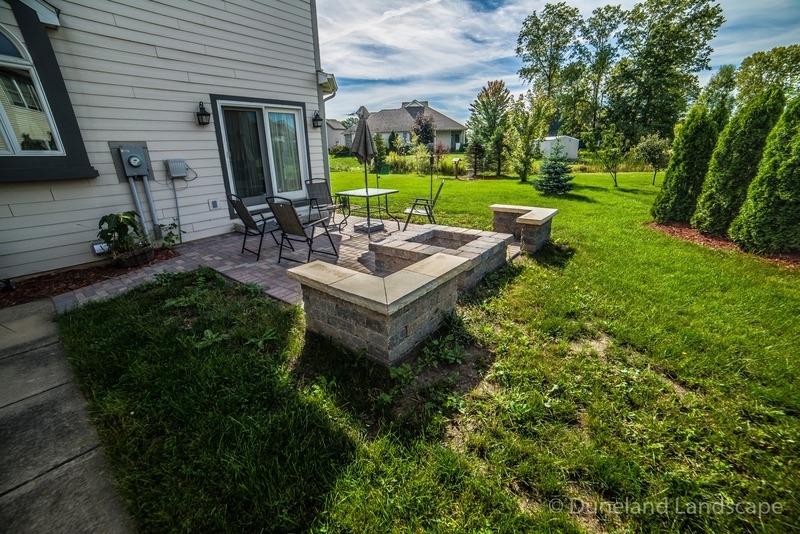 Duneland Landscape designed and built this beautiful outdoor living area for a residential home in Porter, Indiana. 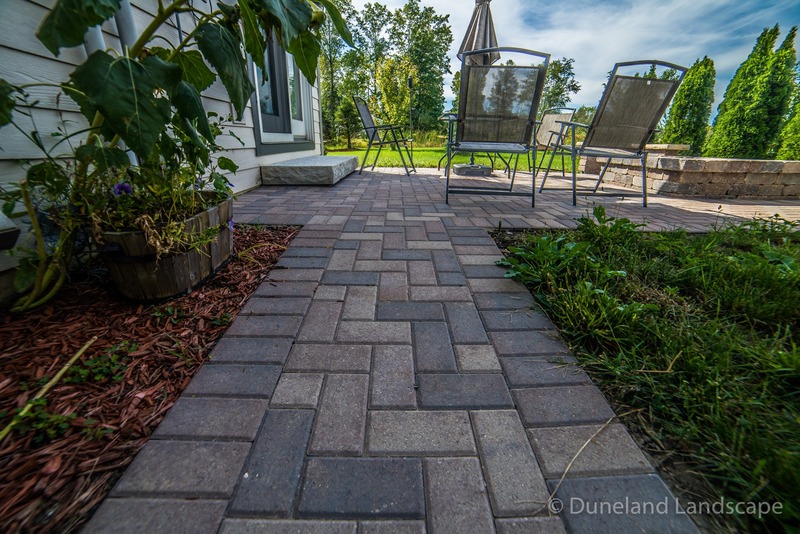 The hardscaping for this space features paver bricks that are neatly aligned to draw the eye in and highlight the space. 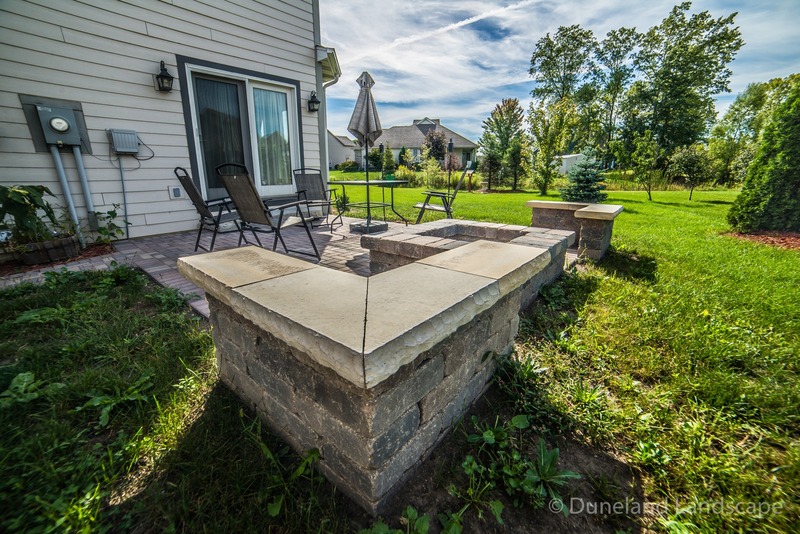 This backyard hardscaping design also features brick pillar benches angled in the corners of the patio hardscaping and surround the square, in-ground brick fire pit. 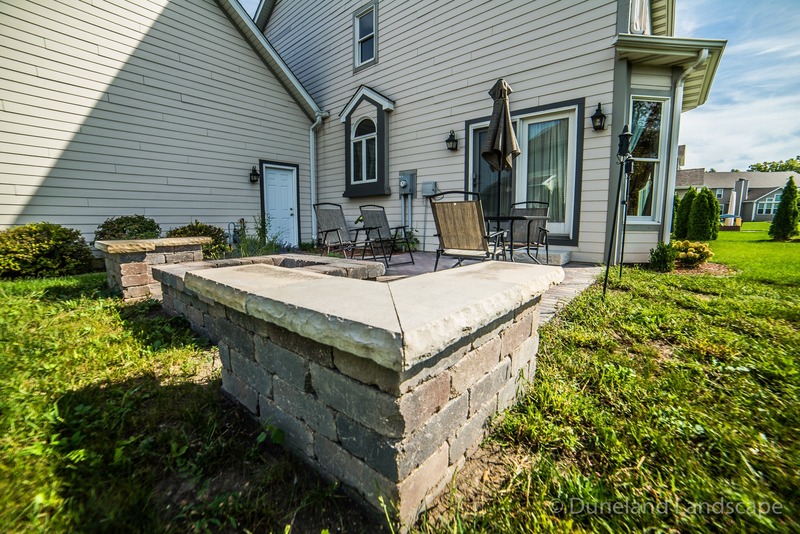 This built-in fire pit design acts as the perfect gathering space for the family to enjoy together or when they are hosting guests all summer long. 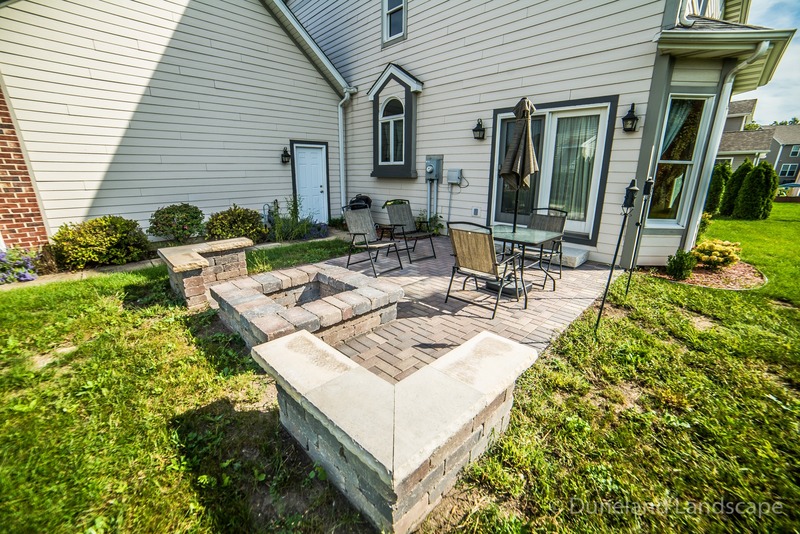 A brick paver walkway leads to this outdoor entertaining space and corresponds aesthetically with the rest of the hardscaping design. 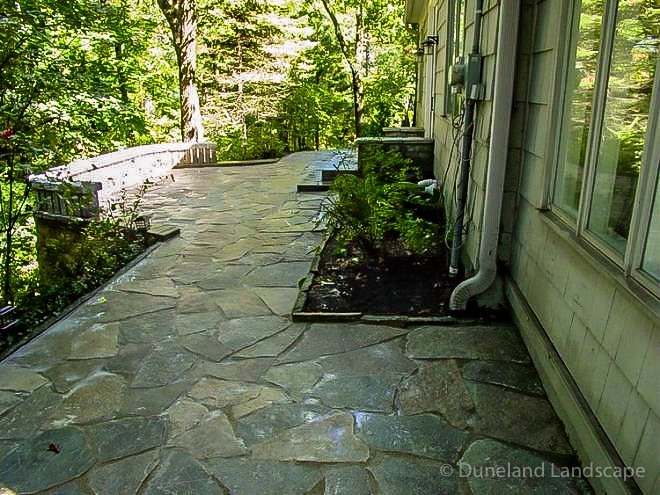 A large stone paver block accentuates the space with its complementary color and texture, acting as a step from the patio to the sliding glass door. 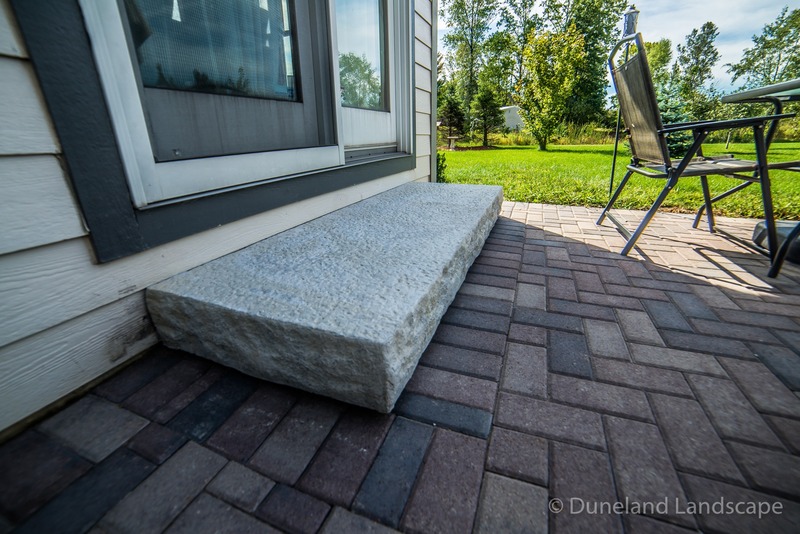 To make the space even more family-friendly, the homeowners added their own style of patio furniture that completes the look of this outdoor hardscaping design project. 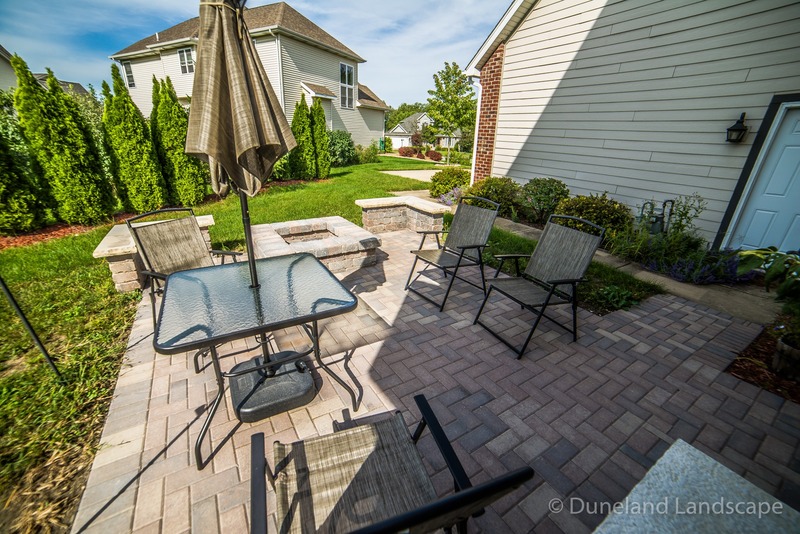 With this custom outdoor living space design, Duneland Landscape was able to transform a small backyard into a recreational area that will serve this home and family well for many years to come. 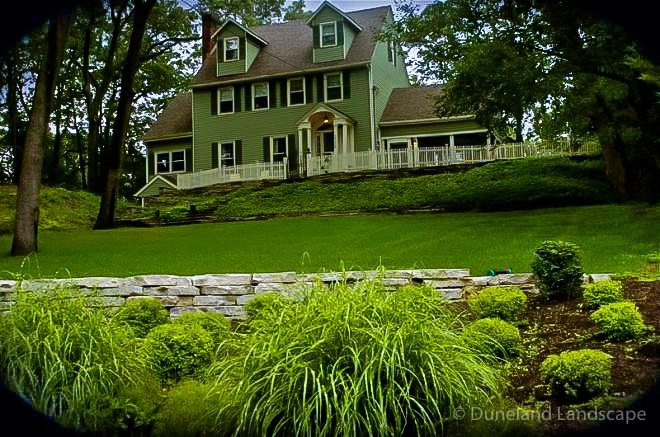 Looking for landscaping design ideas to make the most of your small backyard? 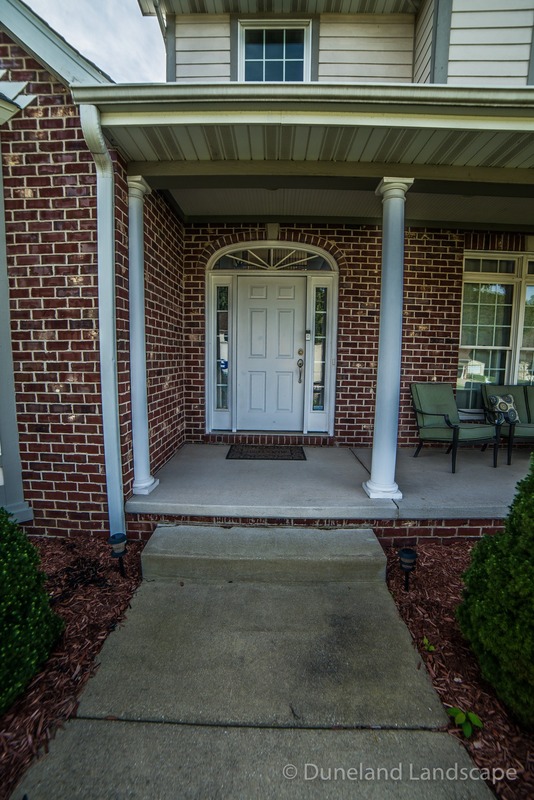 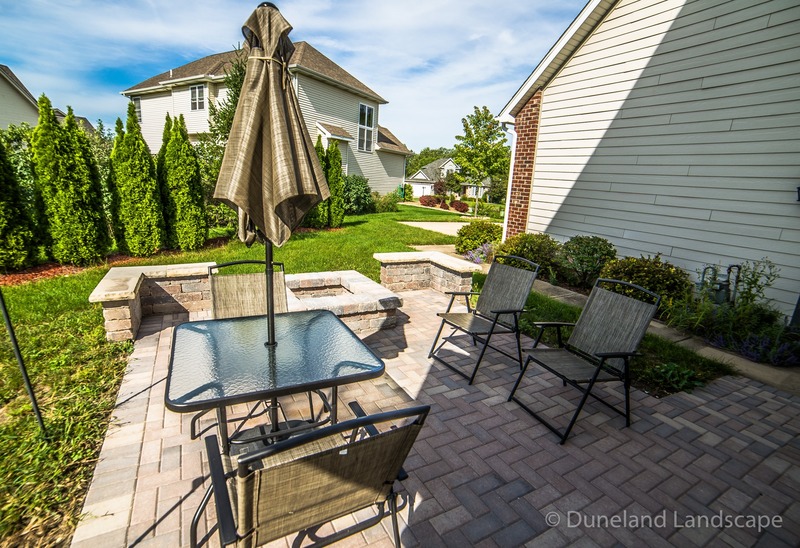 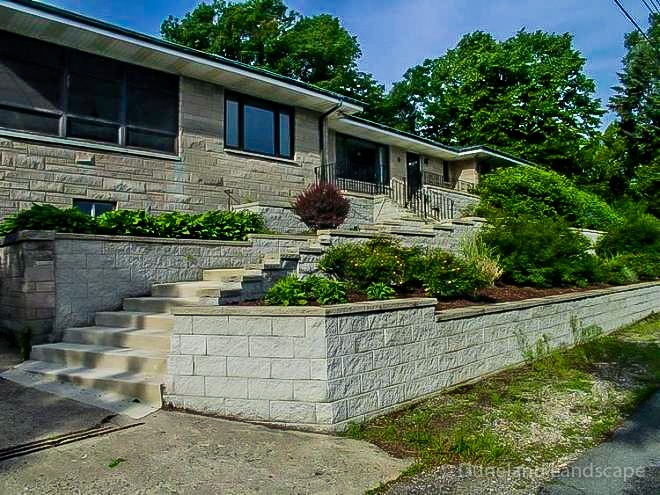 Duneland Landscape has years of experience designing and hardscaping outdoor living spaces for residents of Northern Indiana and Southern Michigan. 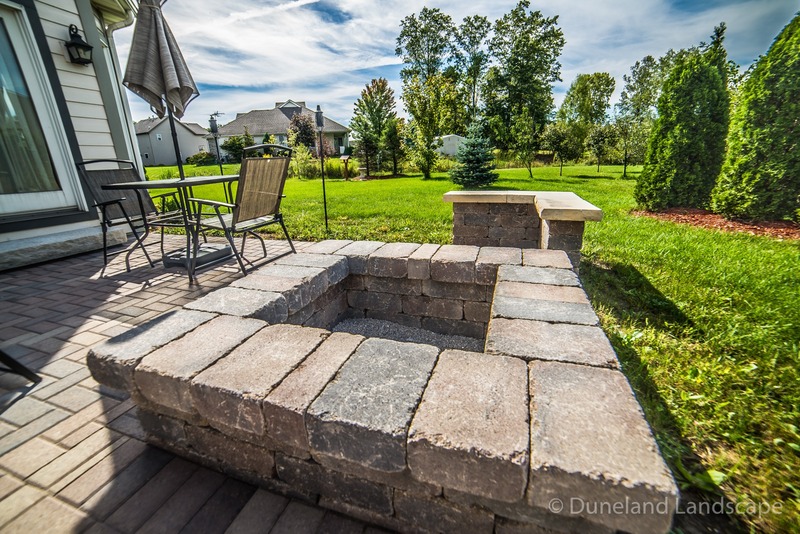 Contact the experts at Duneland Landscape today to see the custom hardscaping designs that we can create to transform your backyard into a beautiful outdoor living area.